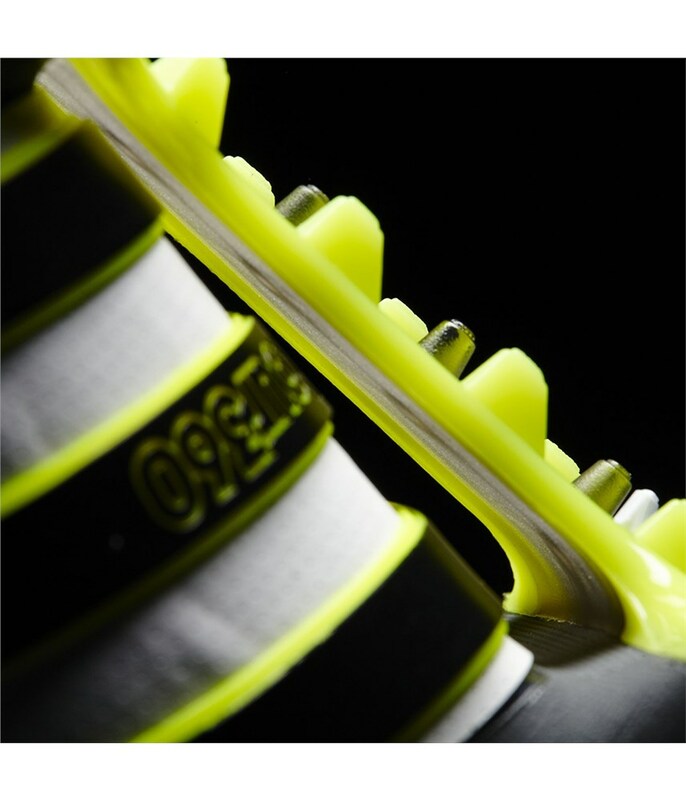 Excellent quality from a material, construction, grip and performance standpoint. 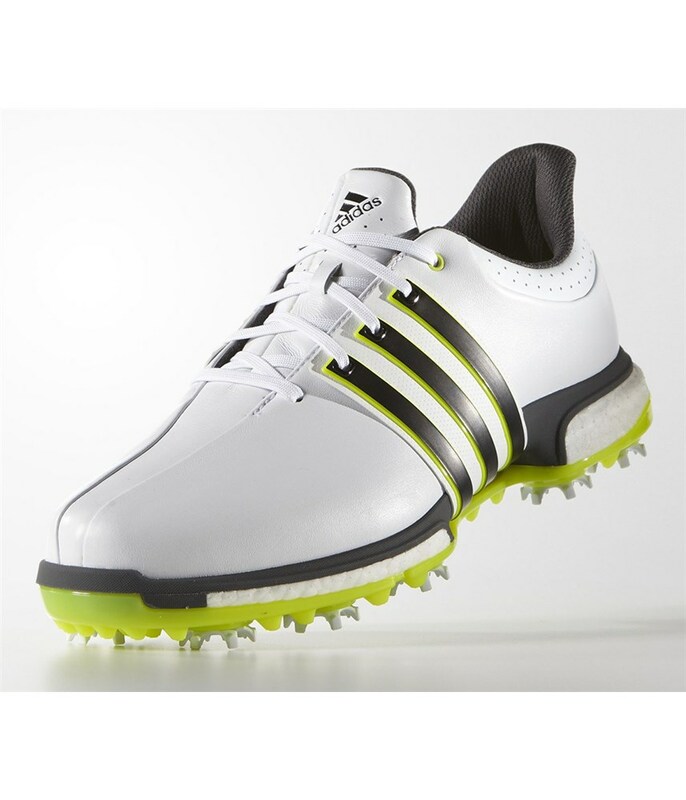 Probably the best shoes Adidas has in the market! 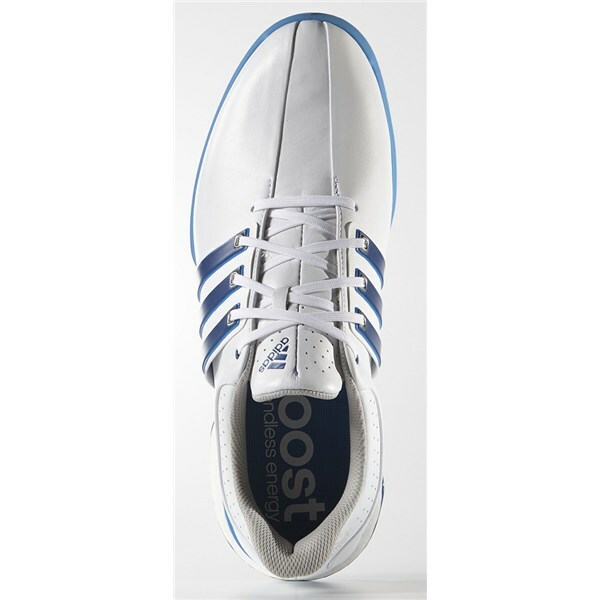 In my opinion the best shoes Adidas has in the market. 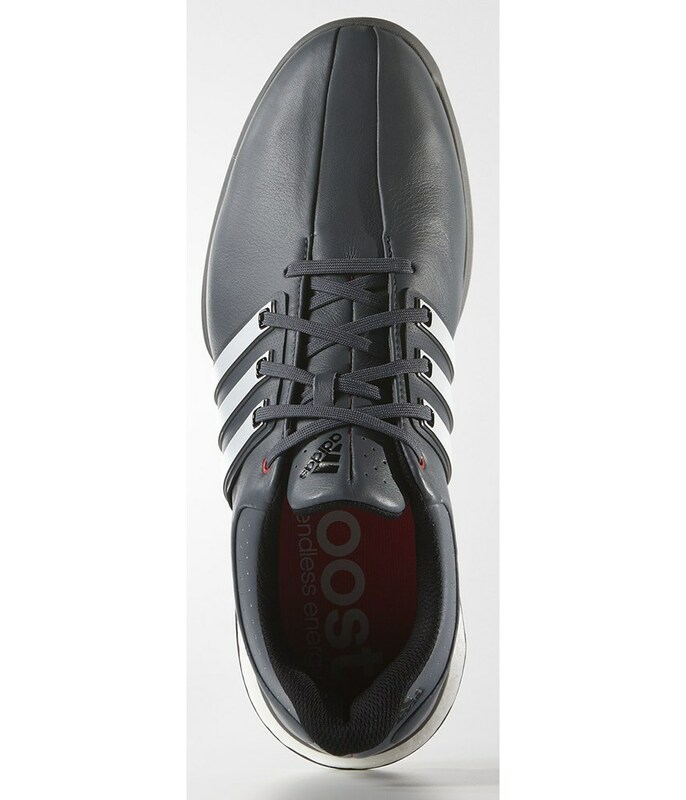 They have a modern yet classy look. 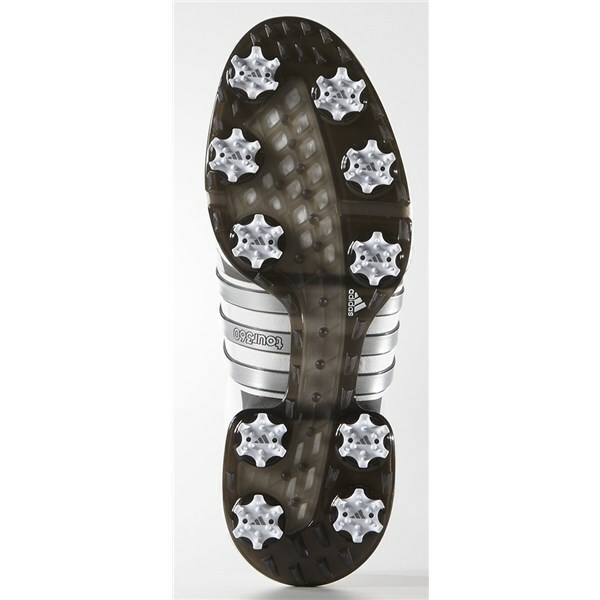 They are extremely comfortable and durable. 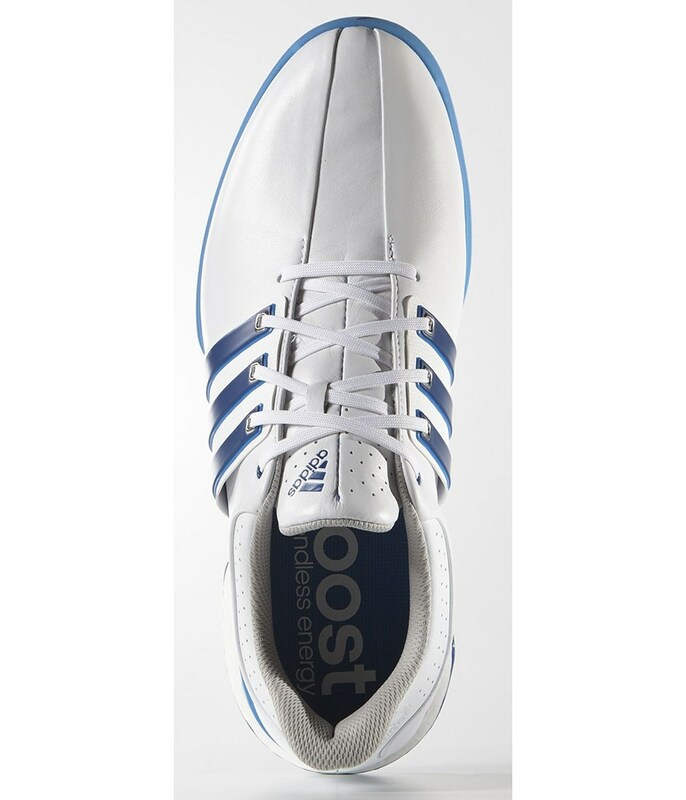 I ordered the “wide” fit because the “regular” wasn’t available, there’s a tinny difference but nothing dramatic. 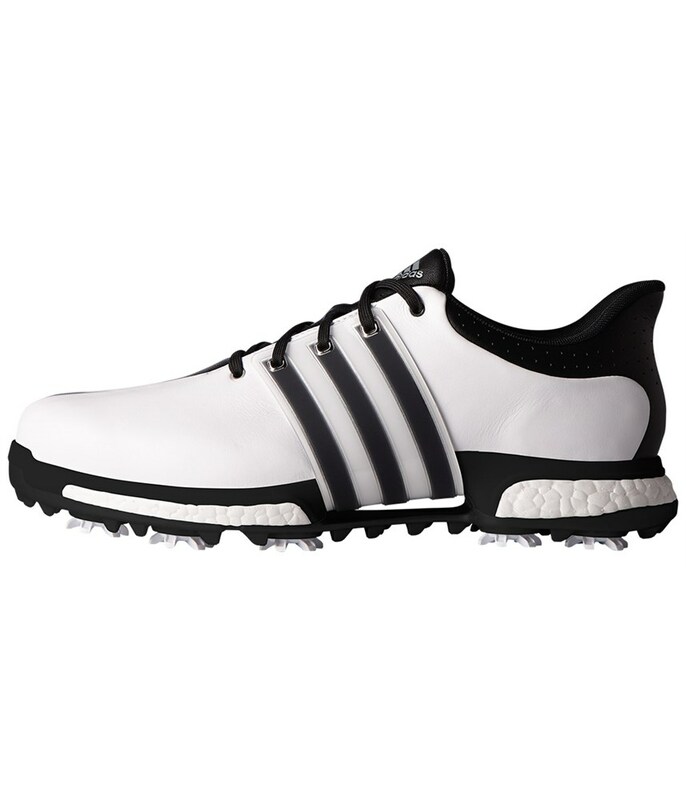 had previous version of this shoe, so no surprises. 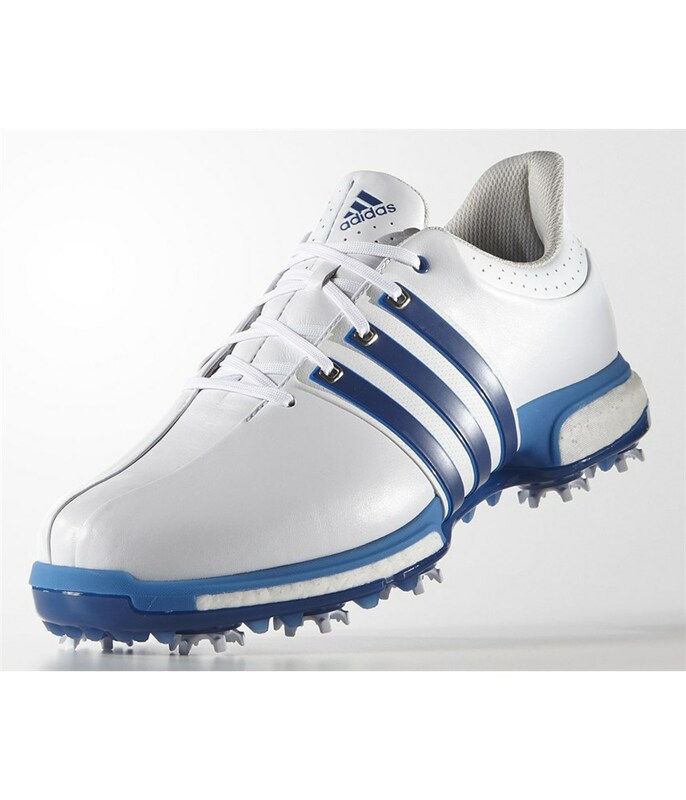 From the very first wear these shoes were extremely comfortable and felt very secure in my setup. 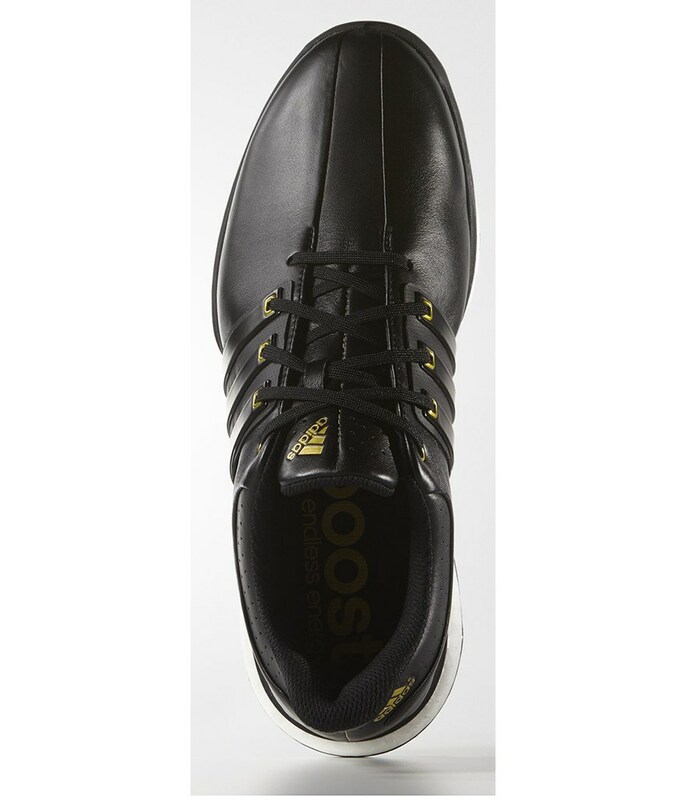 I'd highly recommend these shoes, I took the advise of others and went up a size and this has helped for the optimum fit. 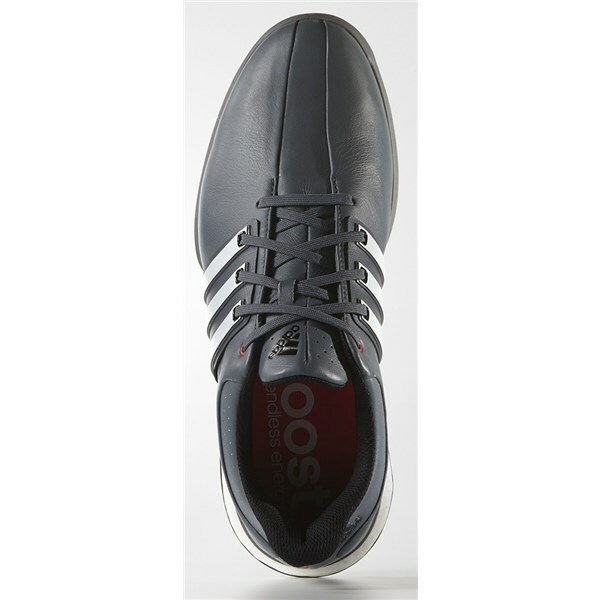 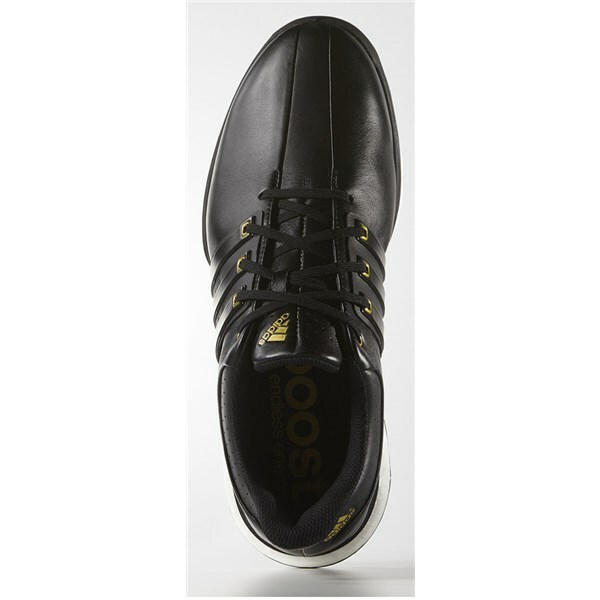 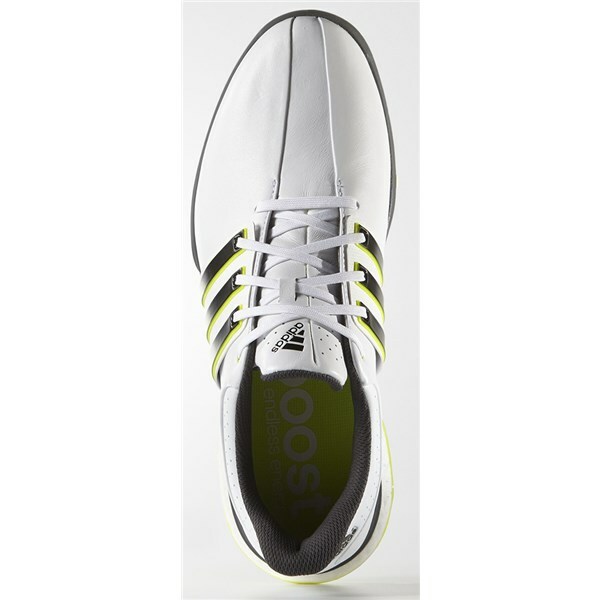 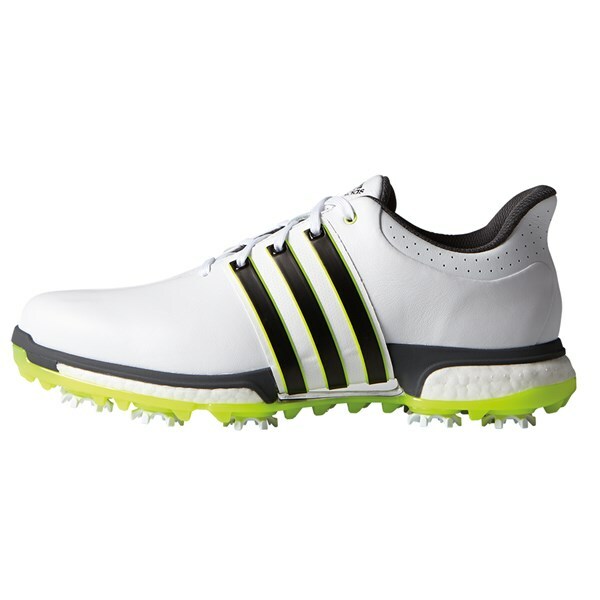 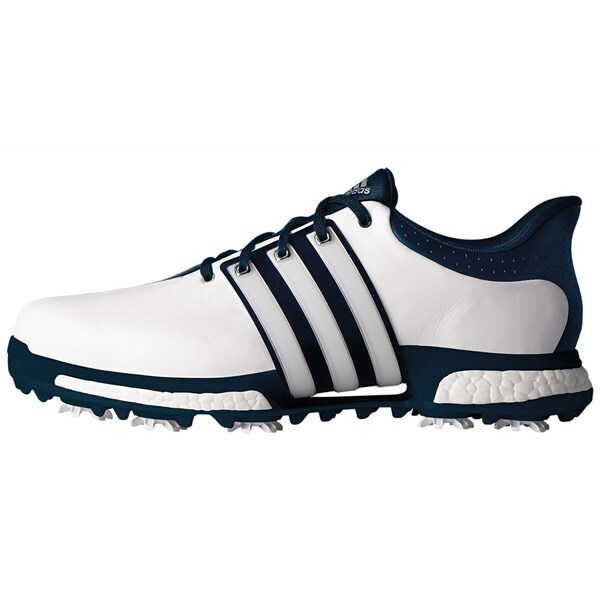 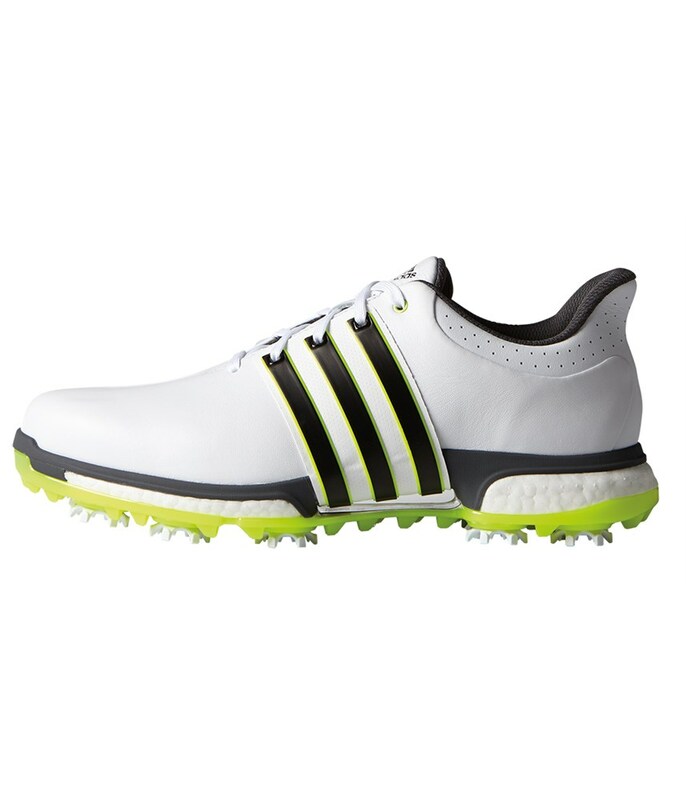 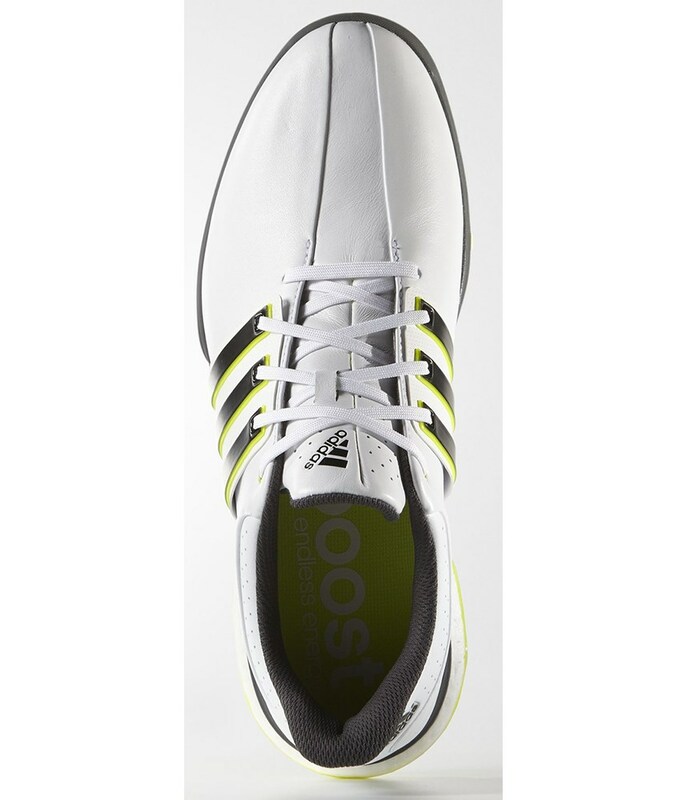 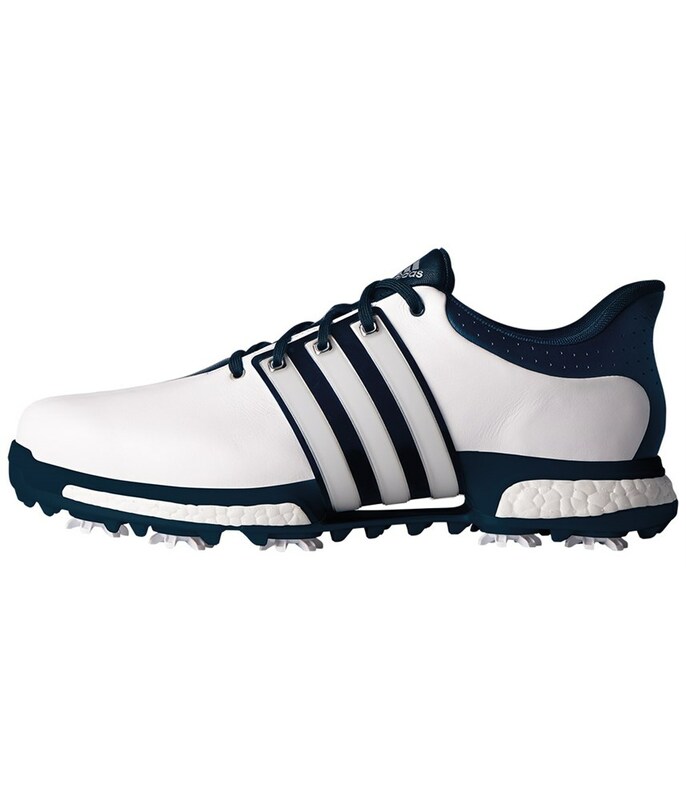 The adidas Tour 360 Boost golf shoes have been designed to give you incredible cushioning for long lasting comfort as well as a super stylish rich premium leather upper. 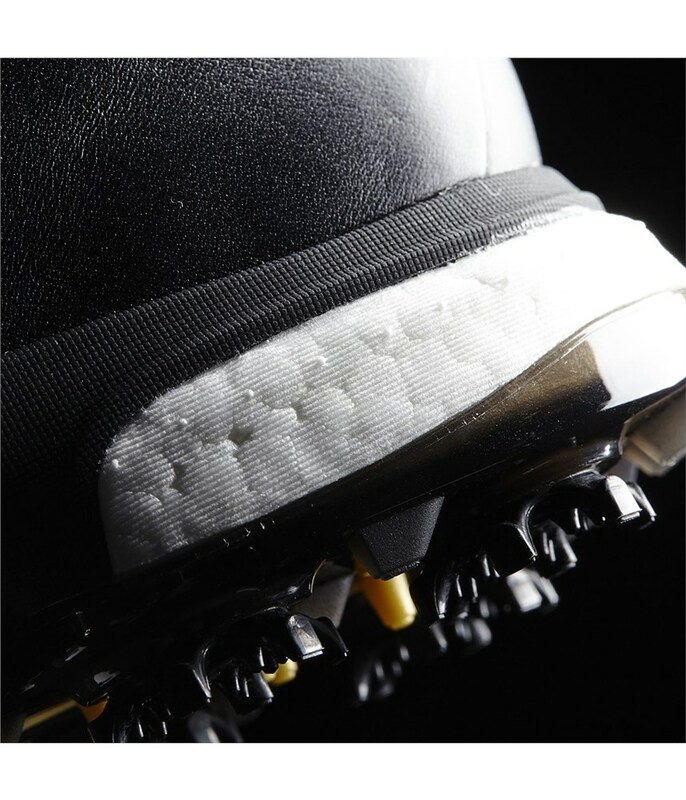 adidas have used climaproof technology on the premium leather upper to provide you the best possible protection from all the elements. 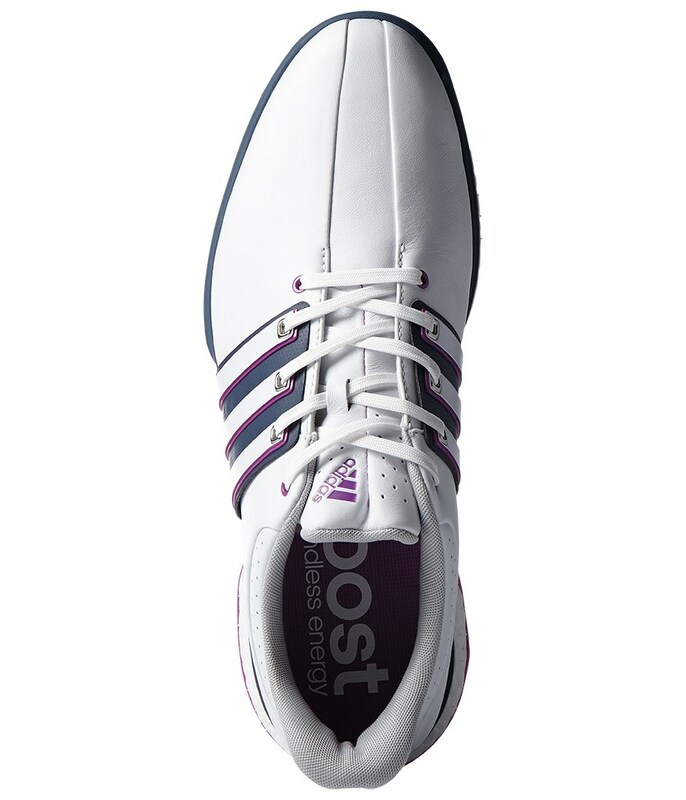 Meaning you can wear the Boost in the coldest and wettest times of the year and your feet will stay dry and protected from the rain or you can wear the Boost in the middle of summer and your feet will stay sweat-free and comfortable. 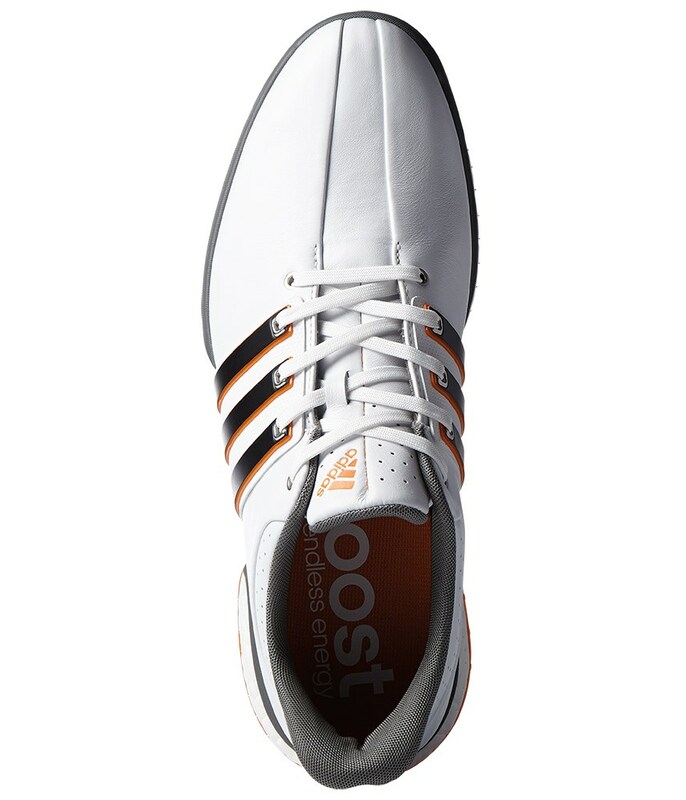 The adidas Tour 360 Boost golf shoe uses its new full length Boost midsole cushioning and what a difference this makes to comfort, WOW! 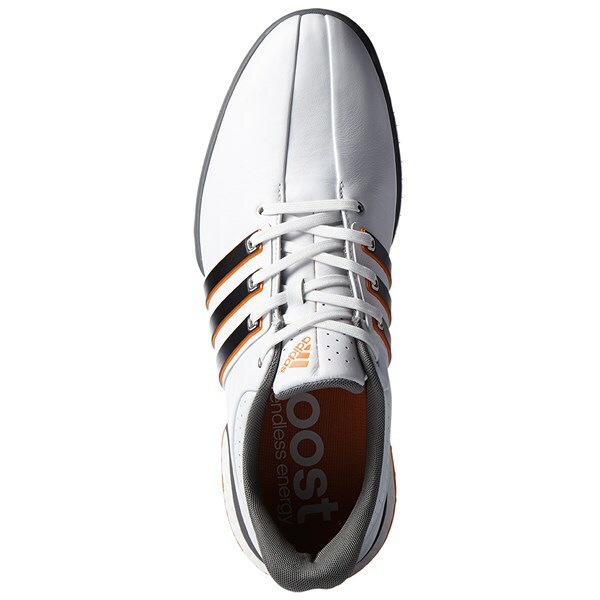 The inner of the Boost shoe features their fitfoam tongue and collar so that the shoe becomes customised to your foot shape. 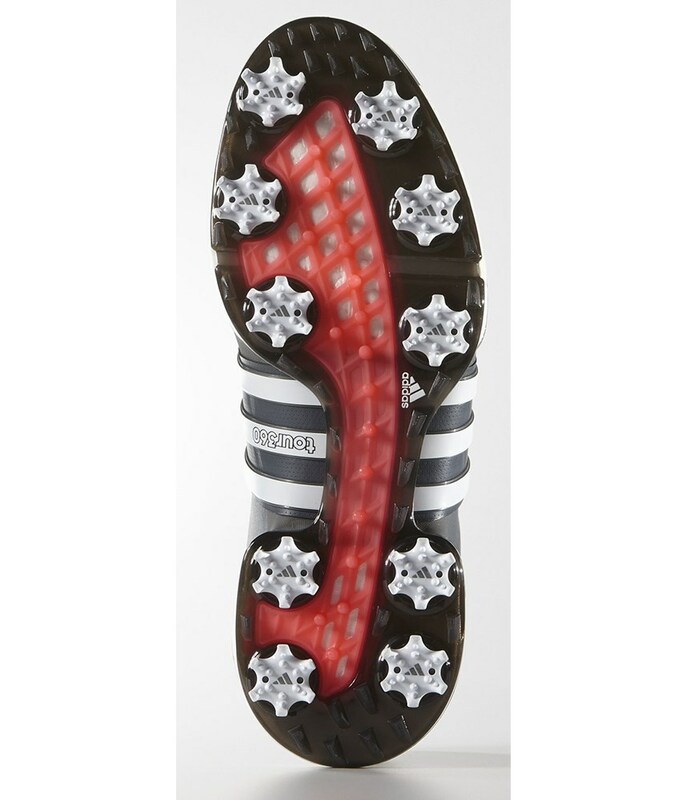 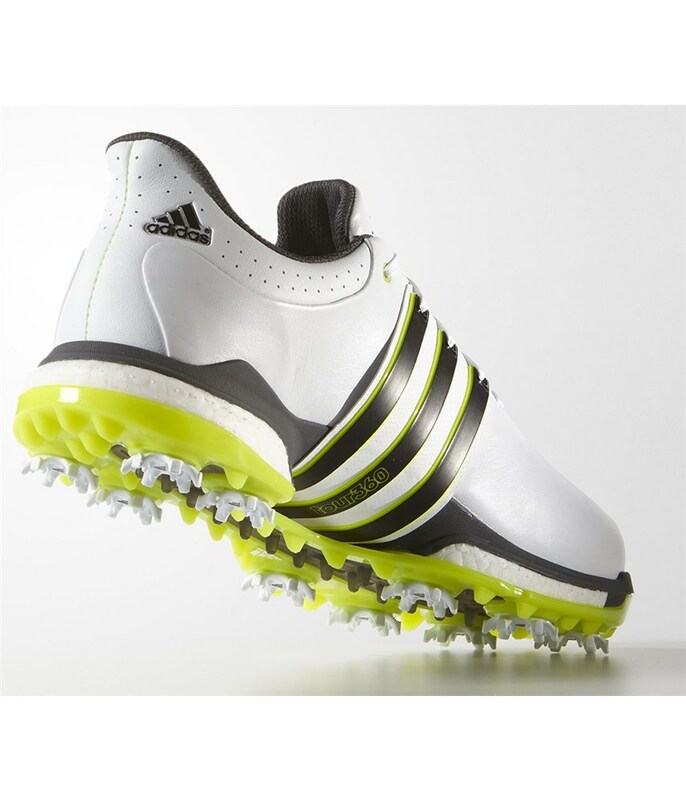 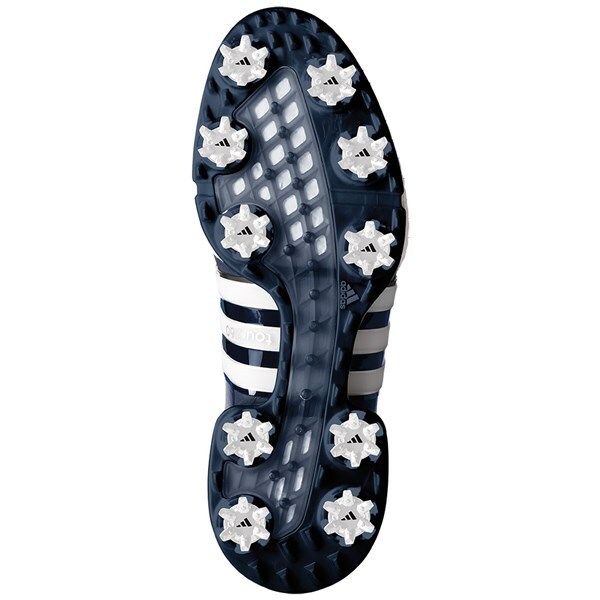 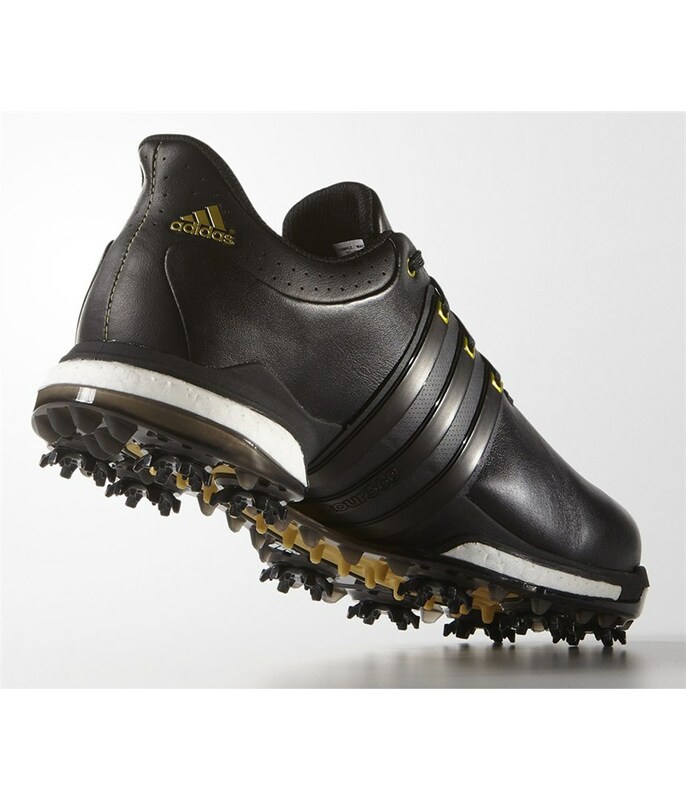 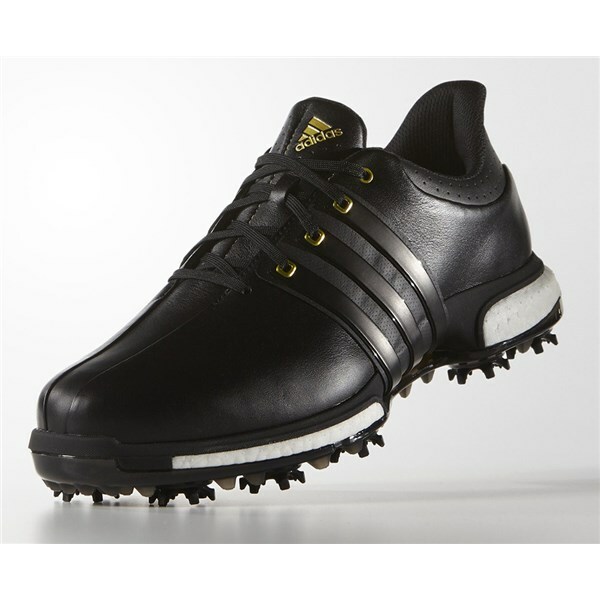 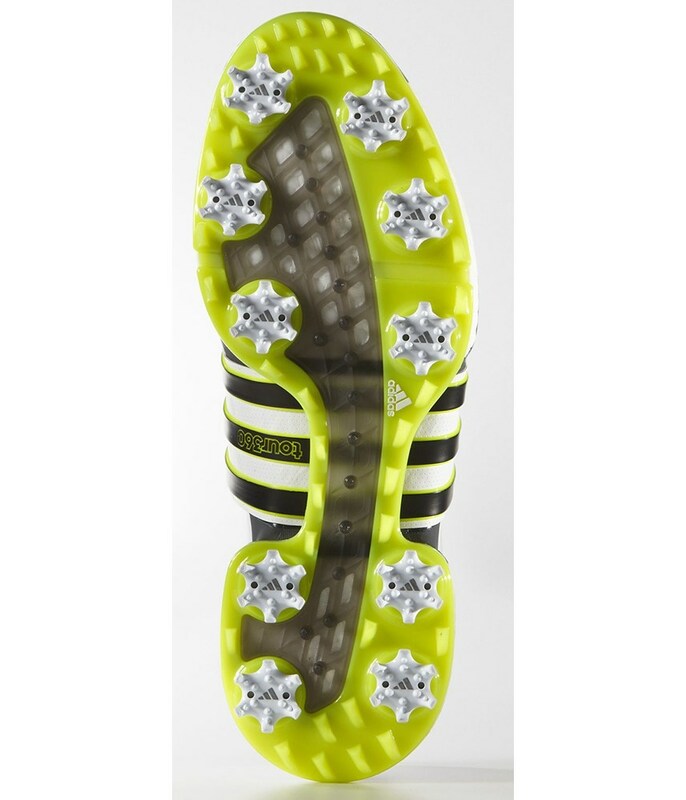 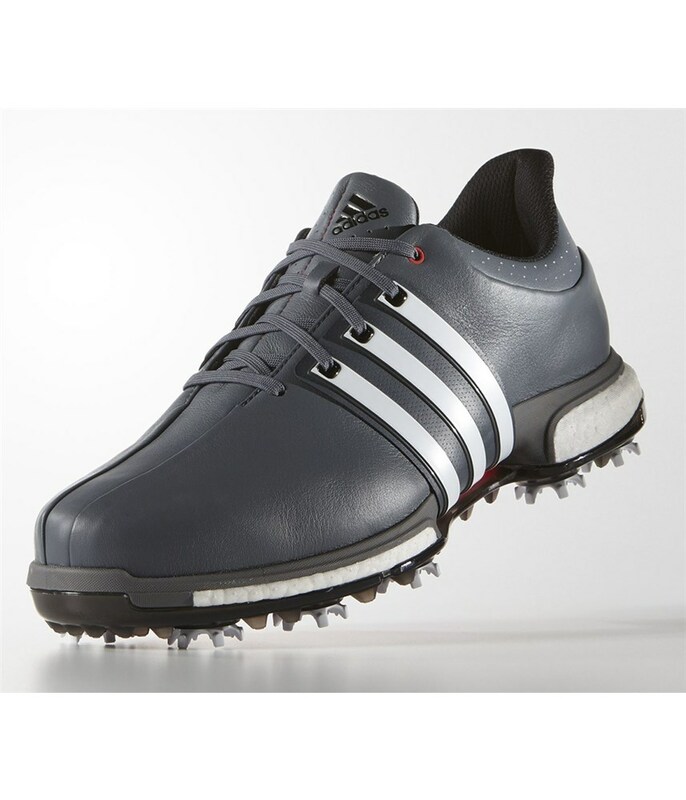 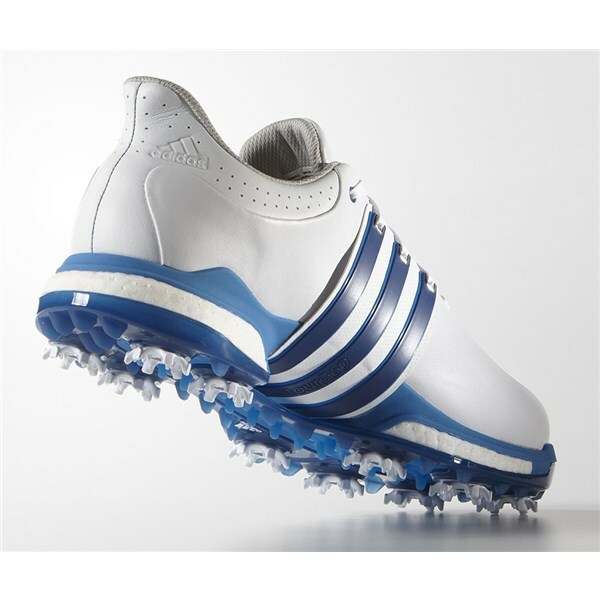 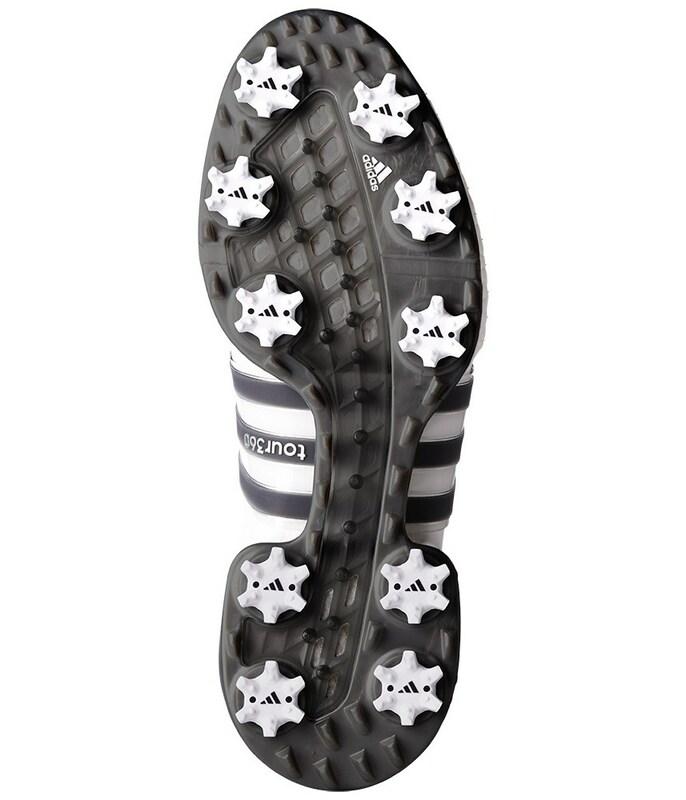 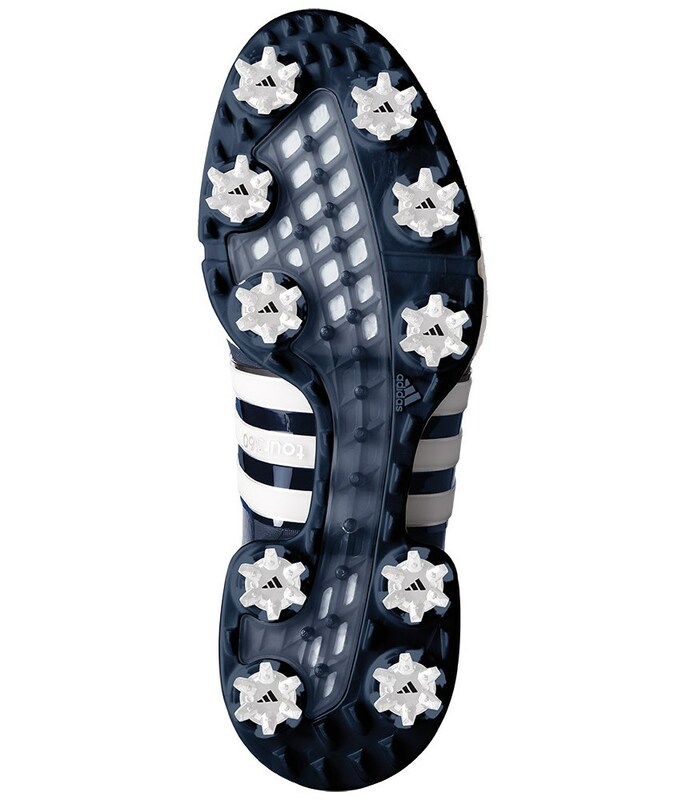 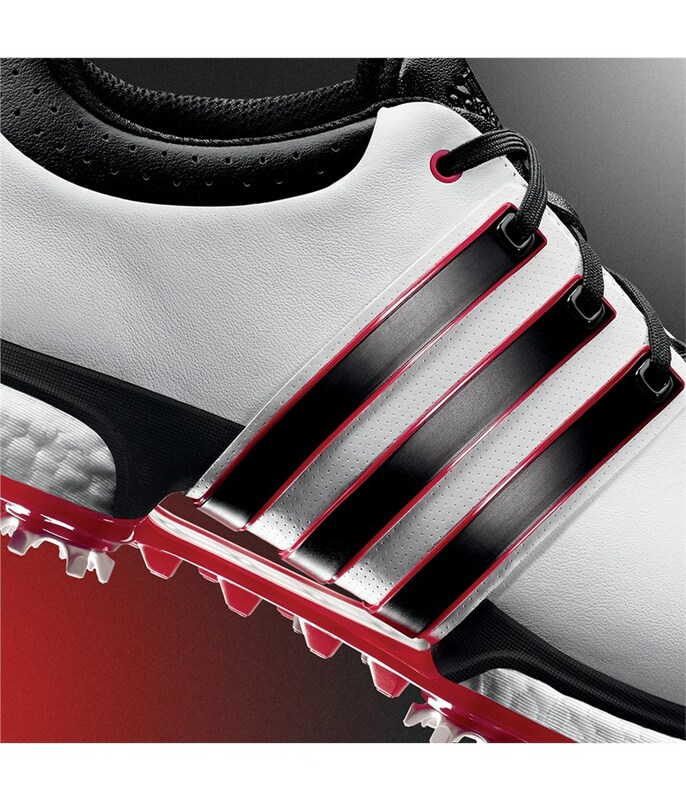 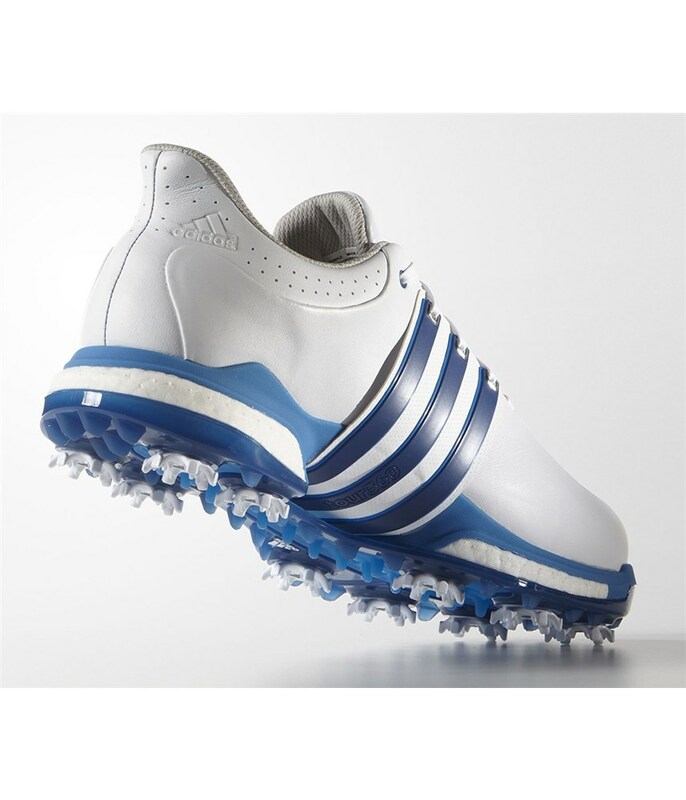 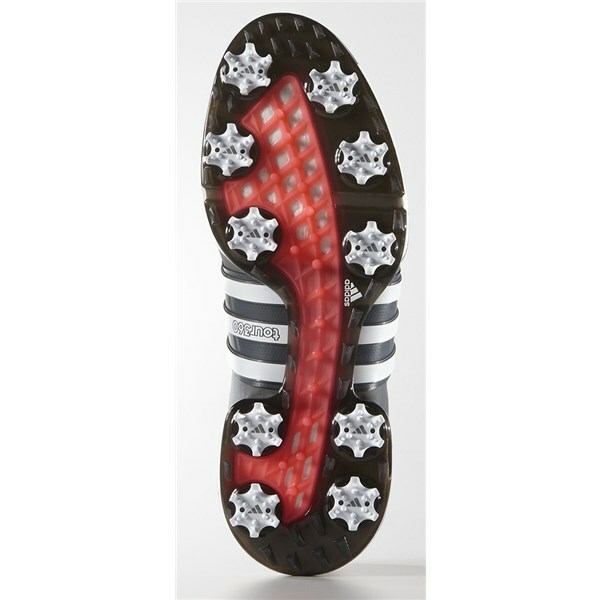 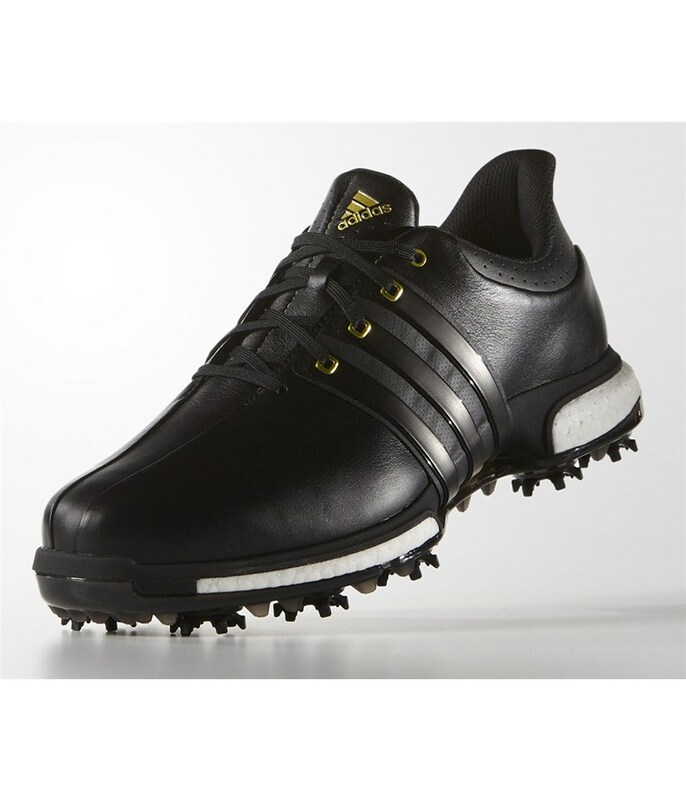 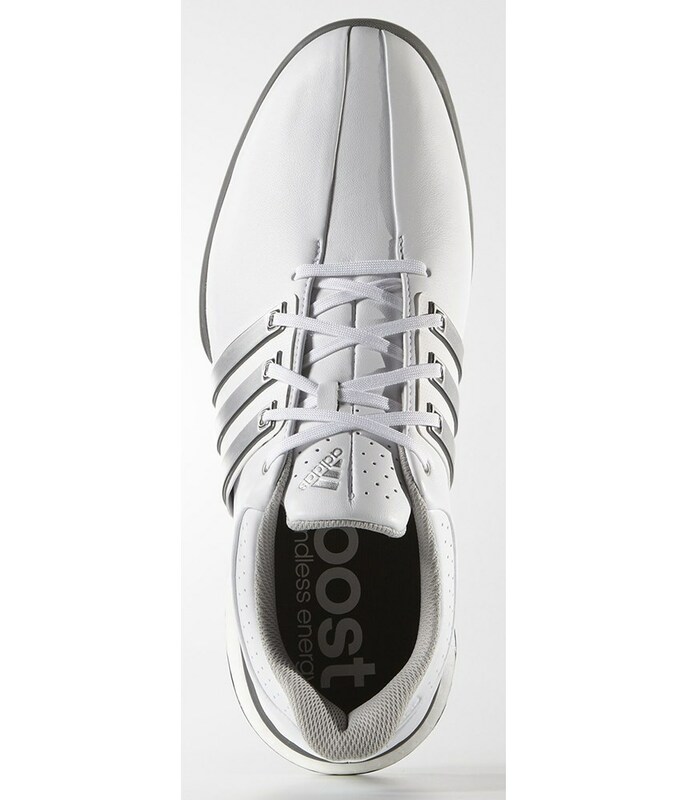 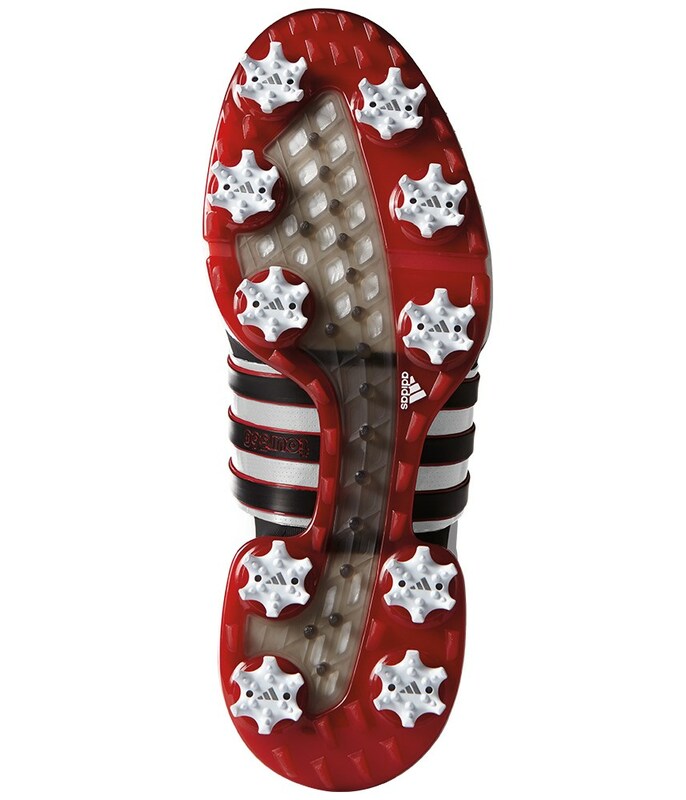 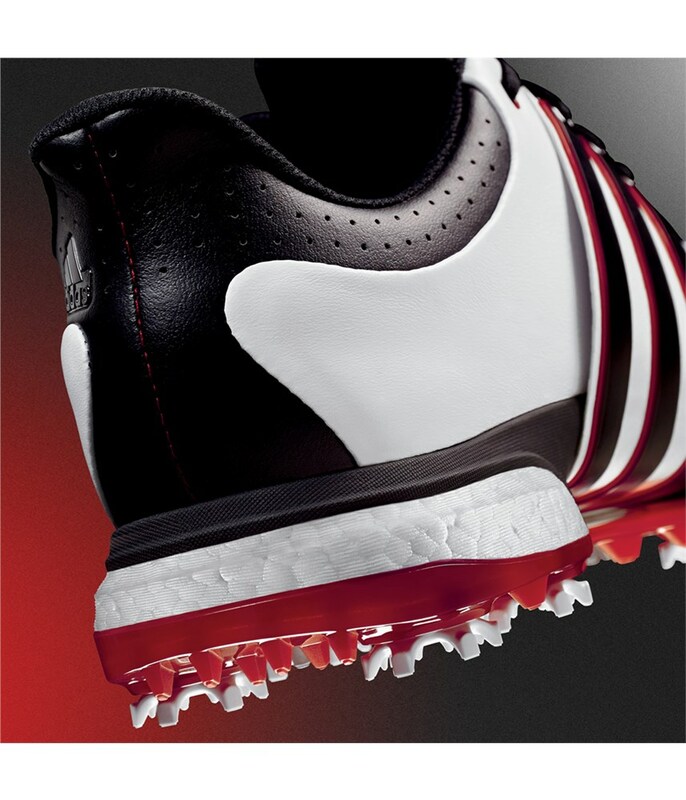 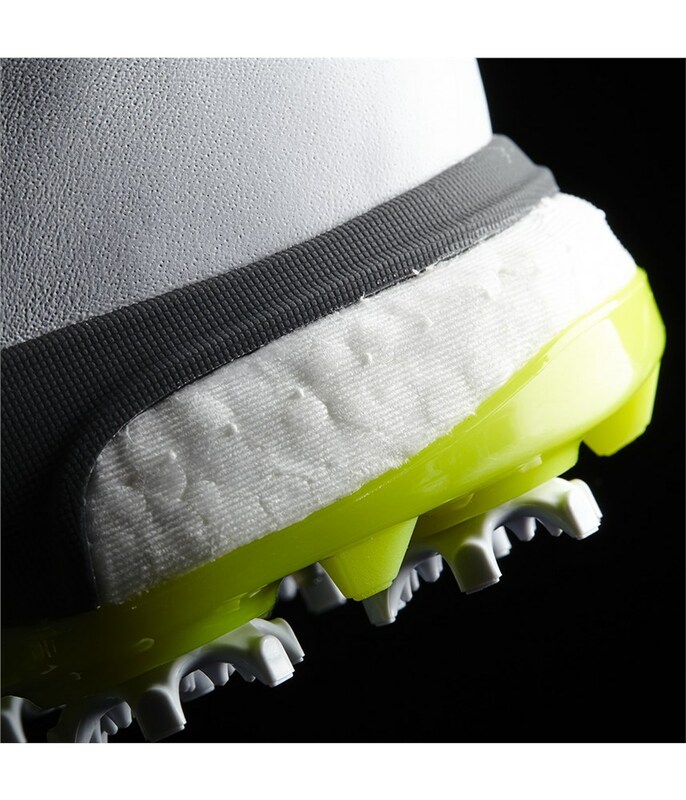 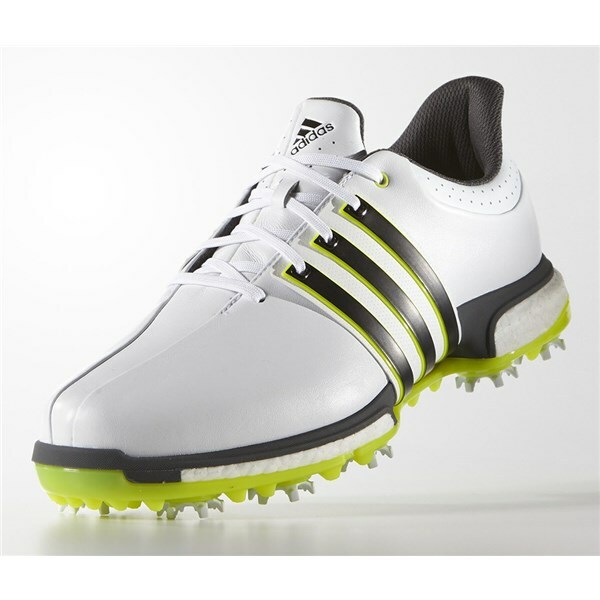 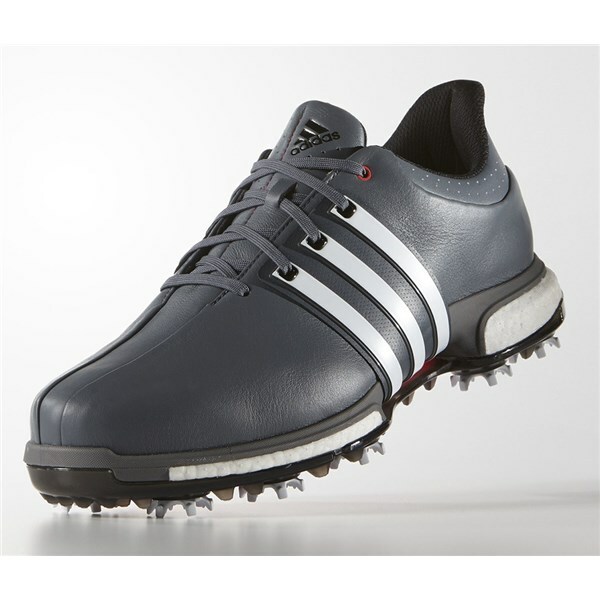 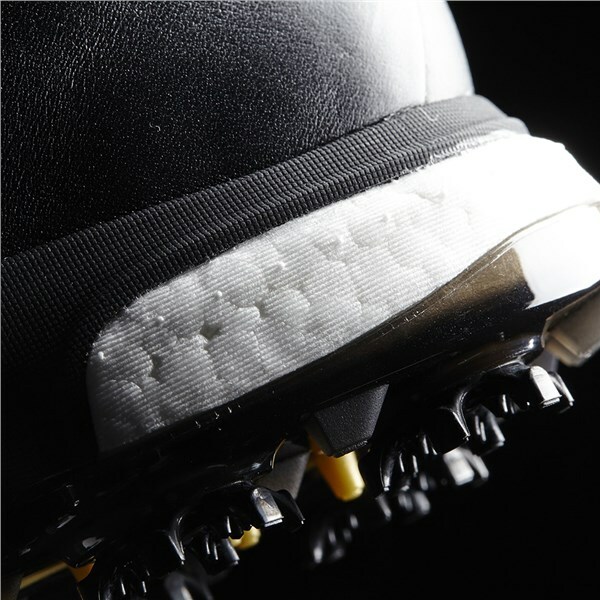 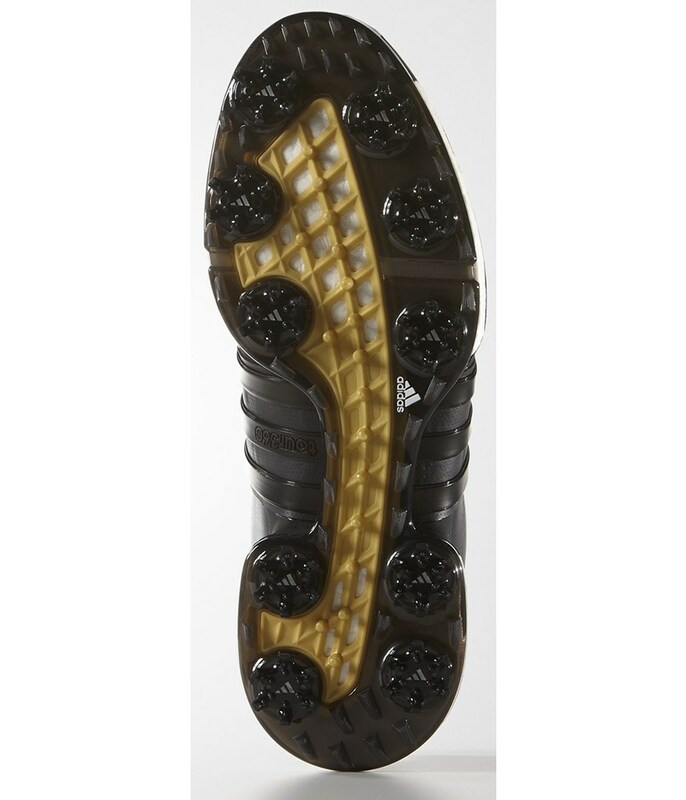 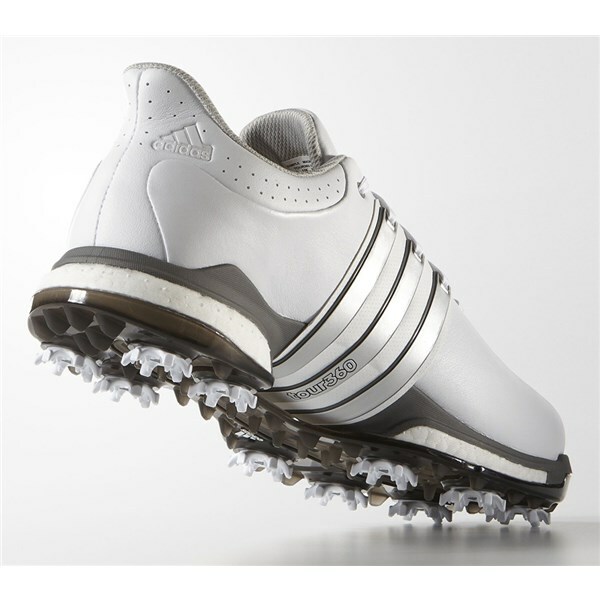 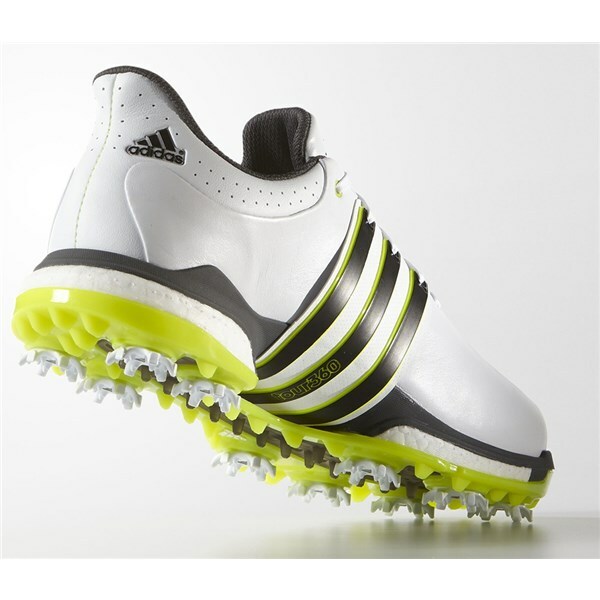 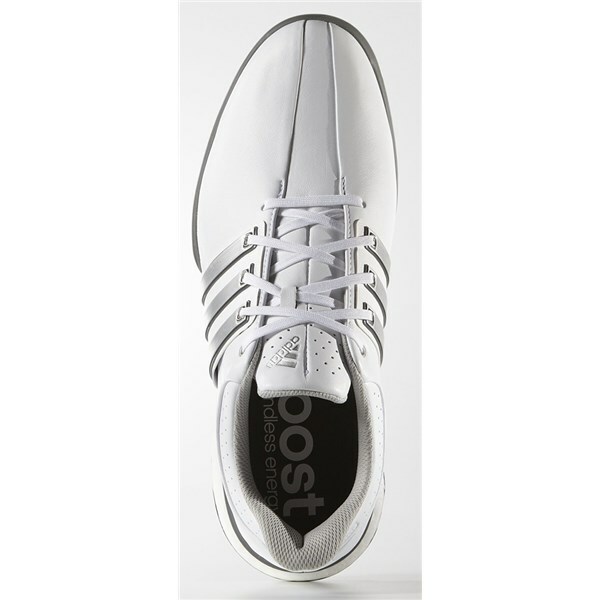 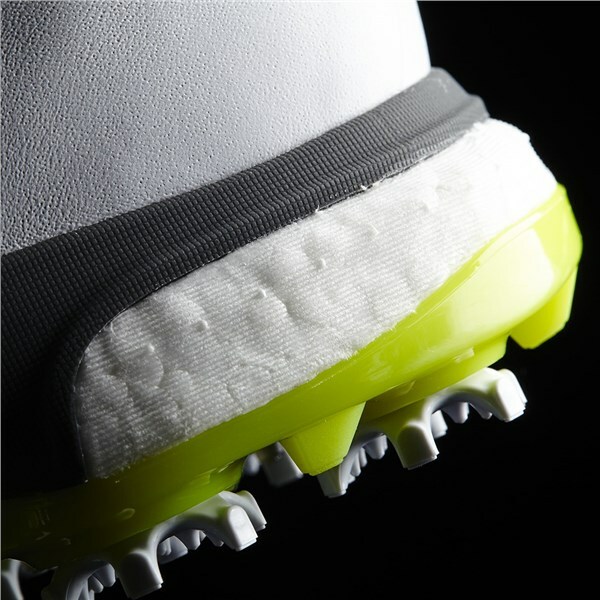 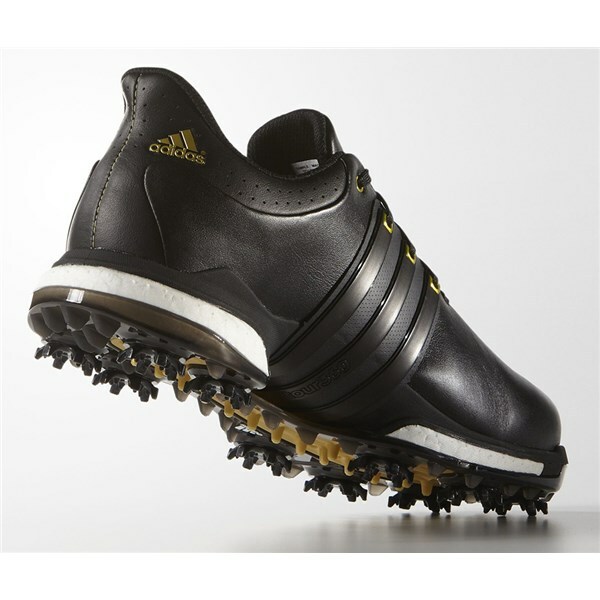 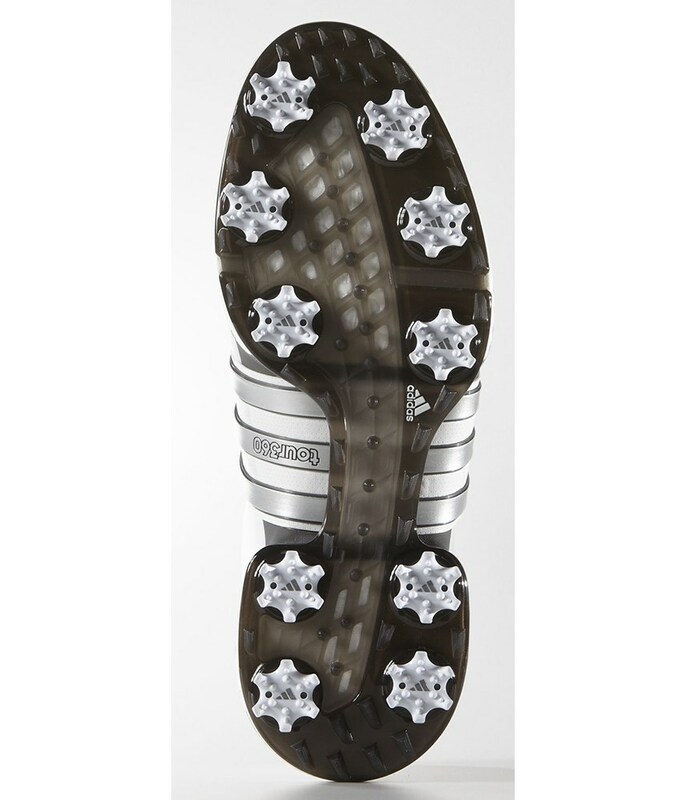 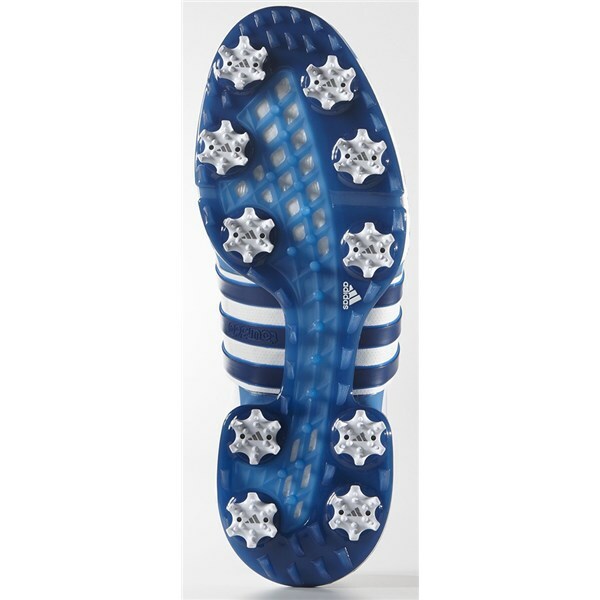 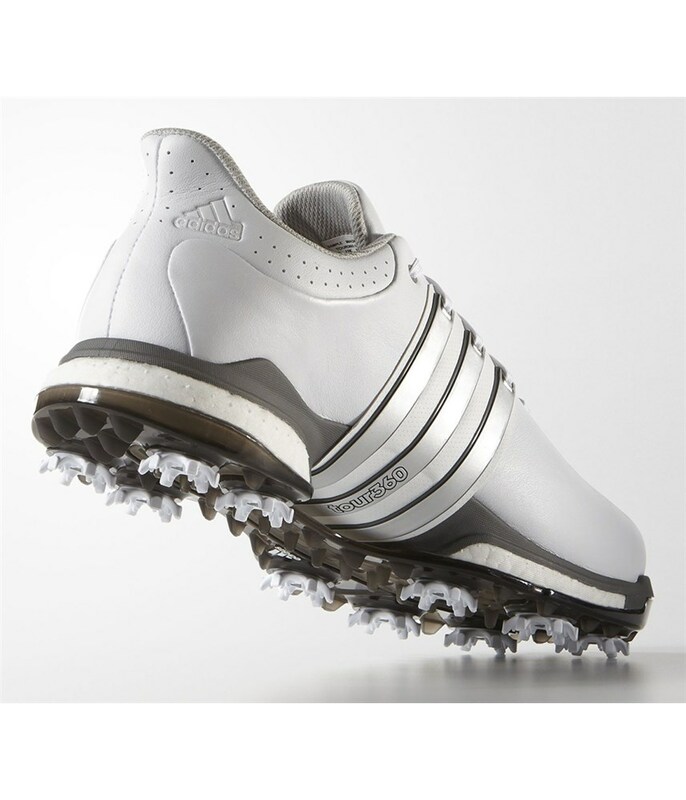 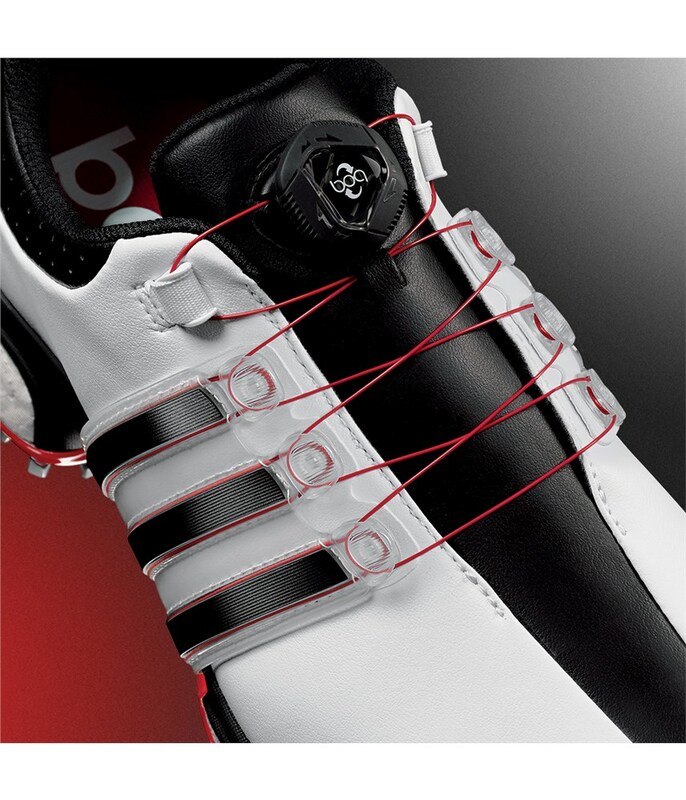 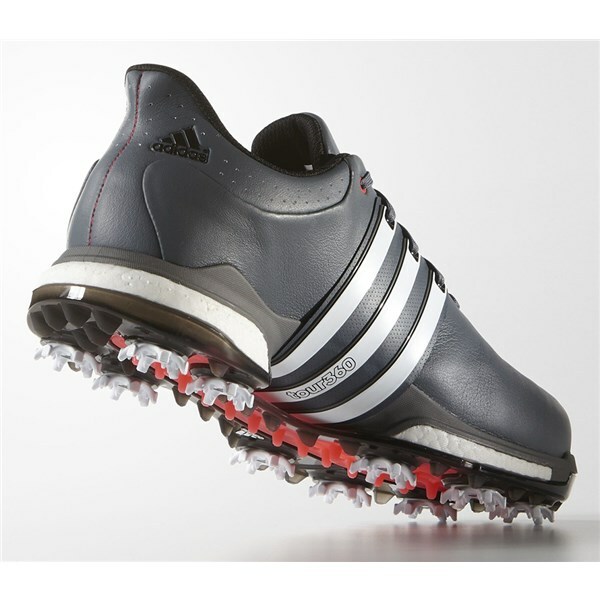 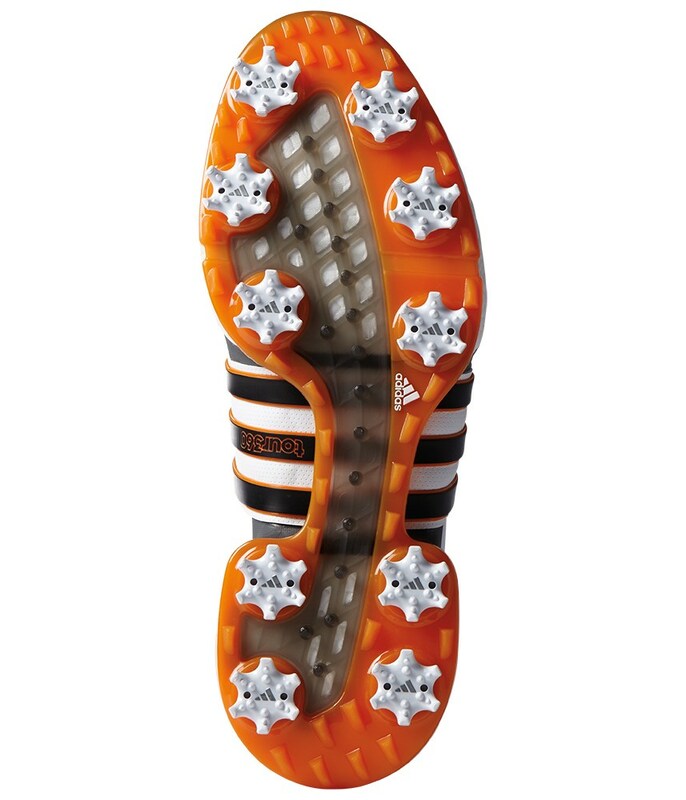 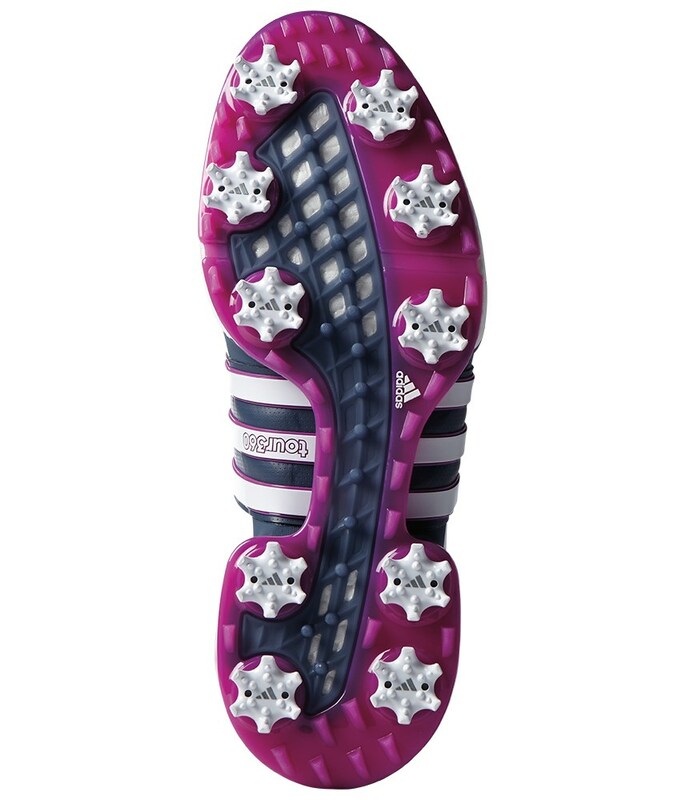 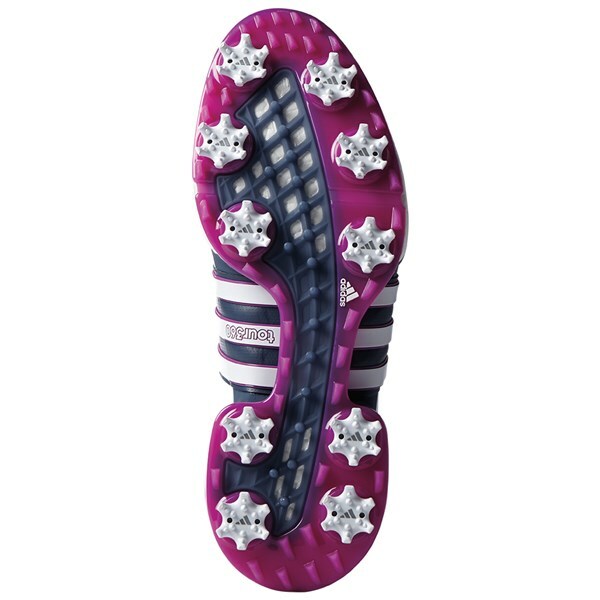 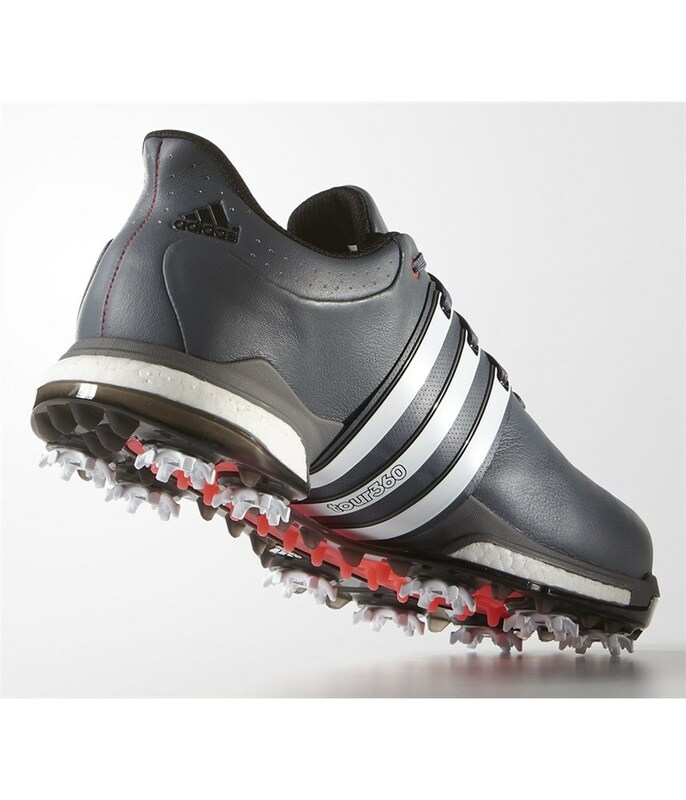 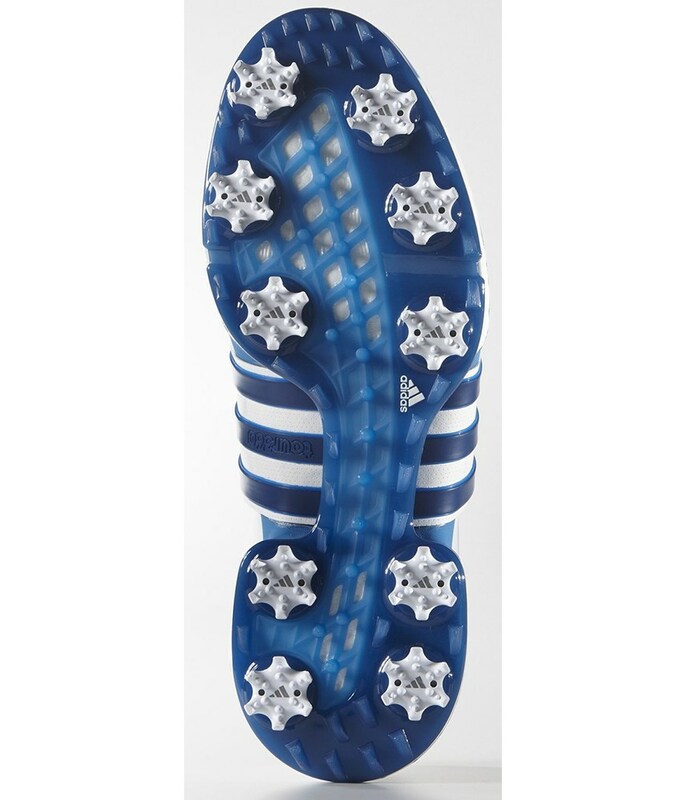 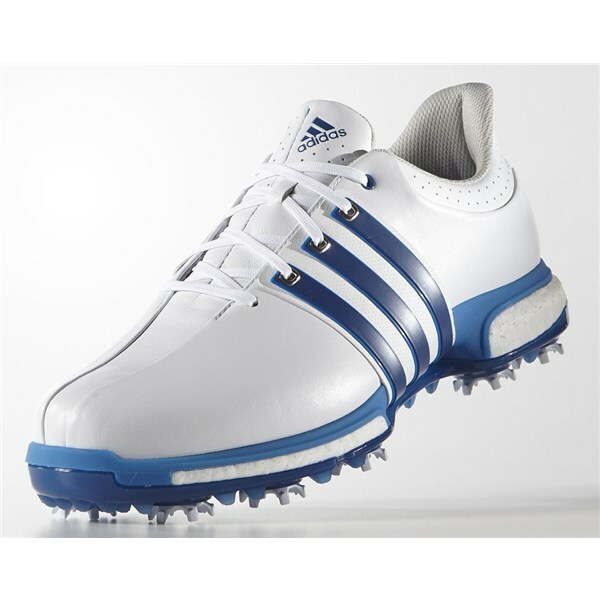 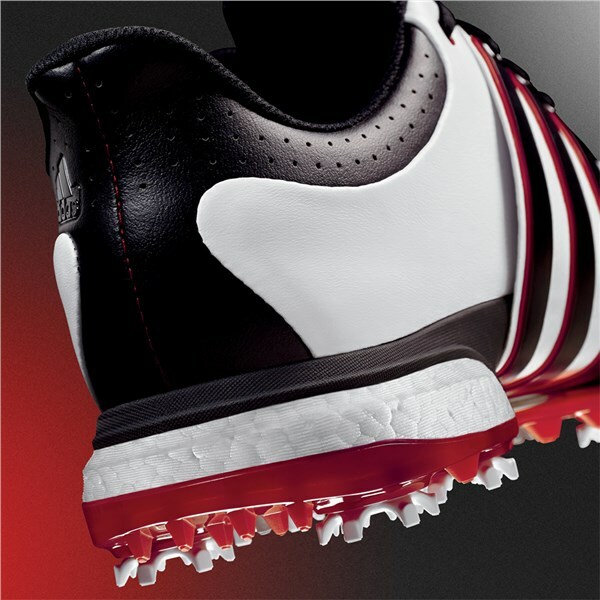 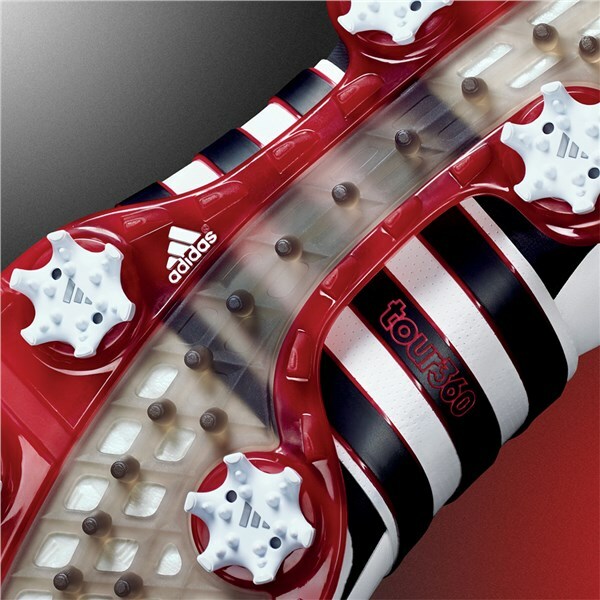 A 360Wrap has been used by adidas to provide the midfoot with incredible stability while walking the contours of the golf course. 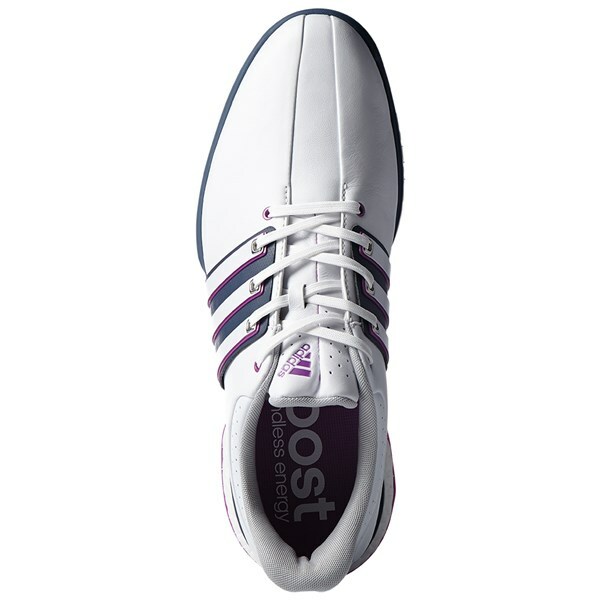 adidas have used a brand new torsion tunnel in the sole’s midfoot to give independent movement to the front and back of the foot whilst giving you brilliant arch support for better walking comfort. 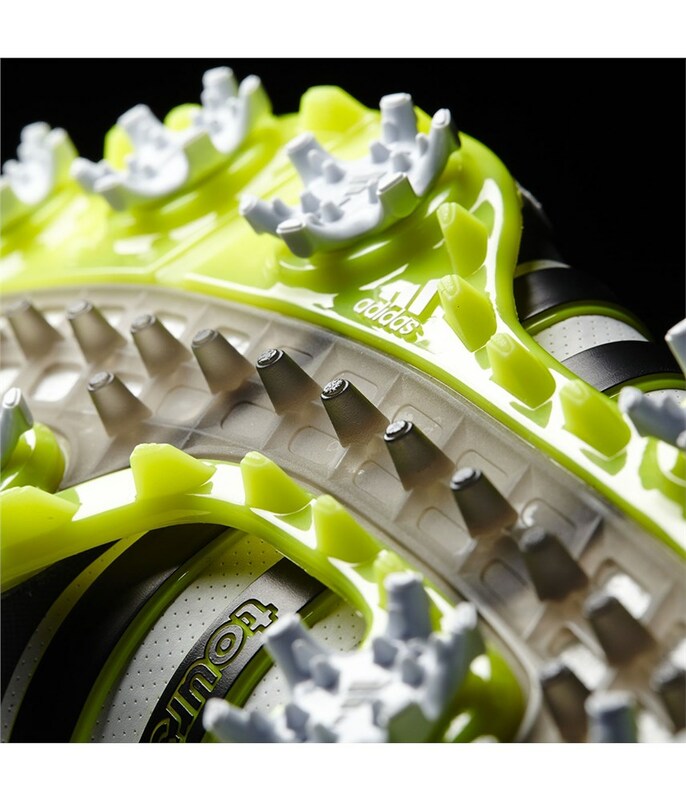 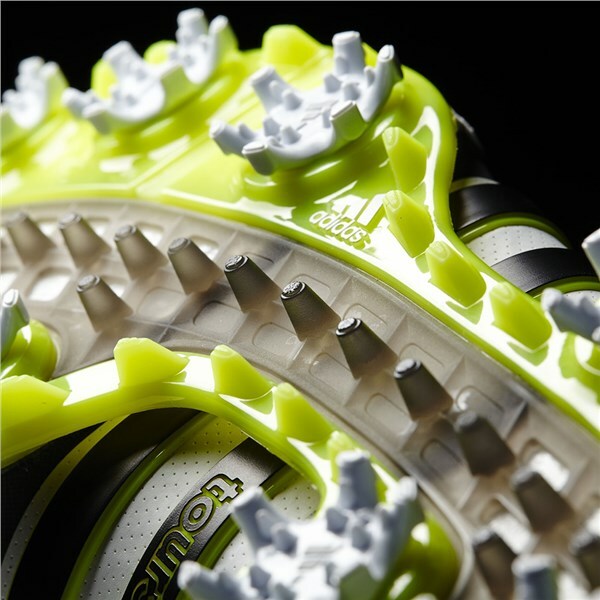 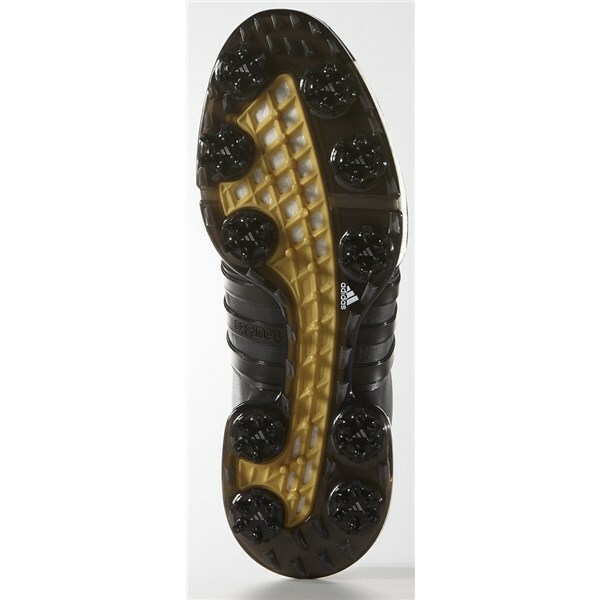 The outsole features a strategically positioned CenTraXion 10 spike configuration to give you the best possible all round grip performance. 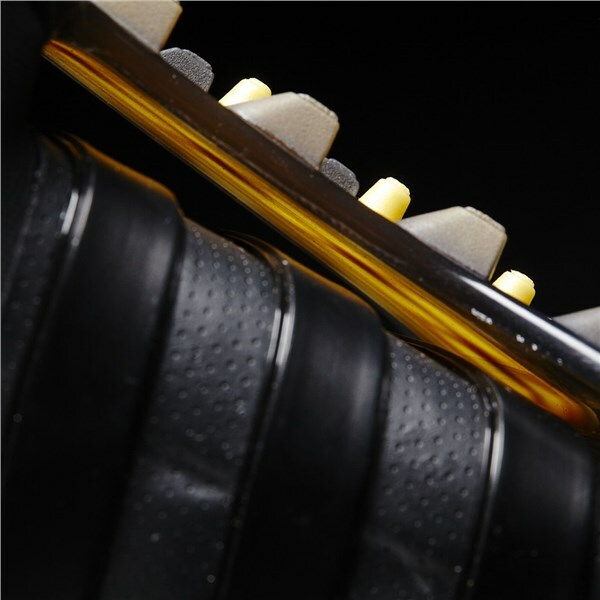 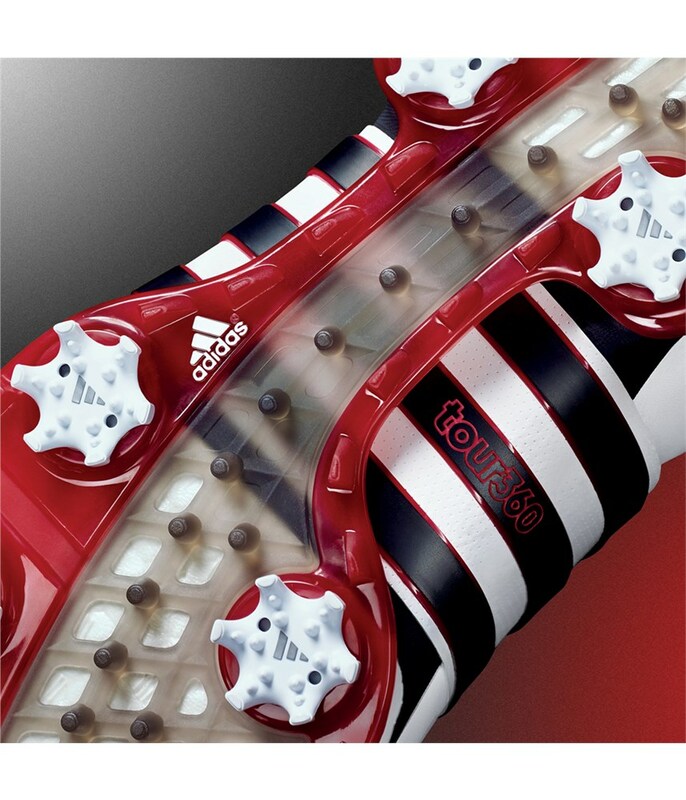 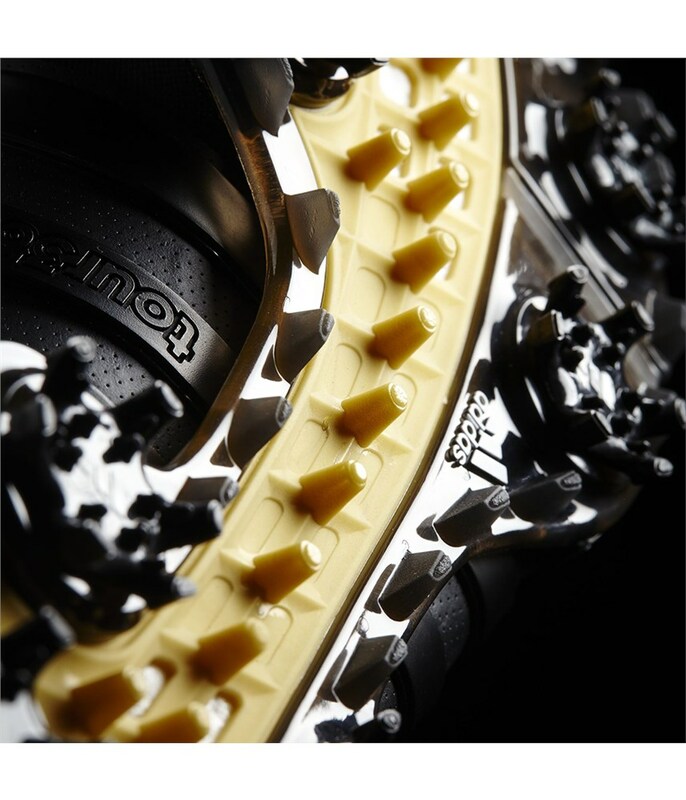 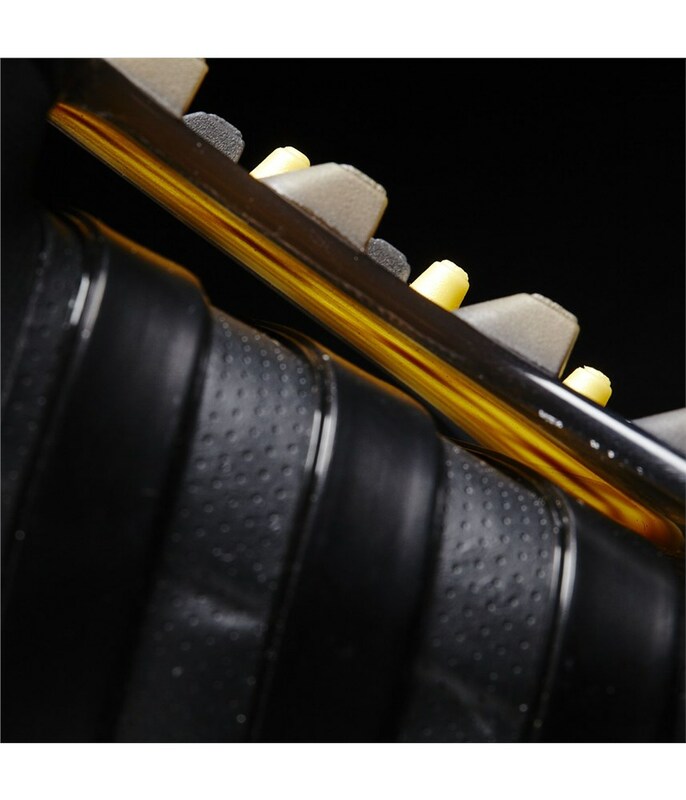 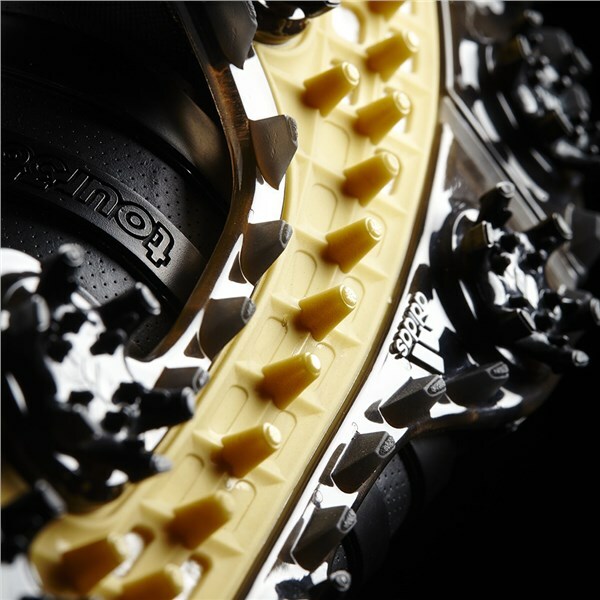 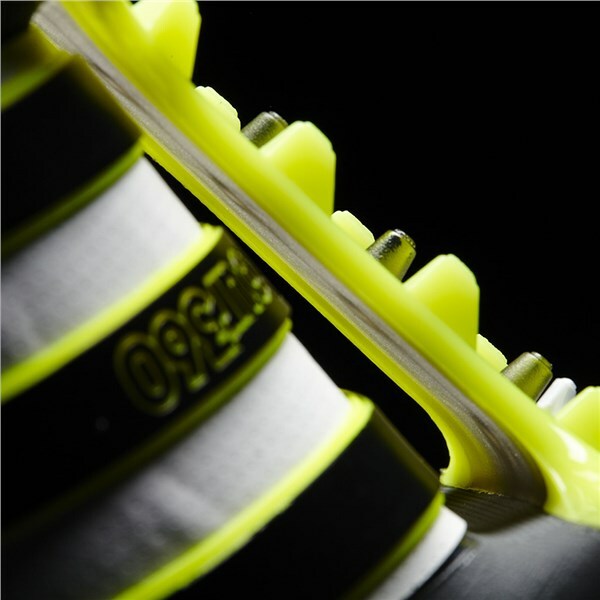 Technology: BOOST™, 360WRAP , CenTraXion, puremotion®, fitfoam® GEO, Torsion Tunnel, climaproof®, thintech® cleat.